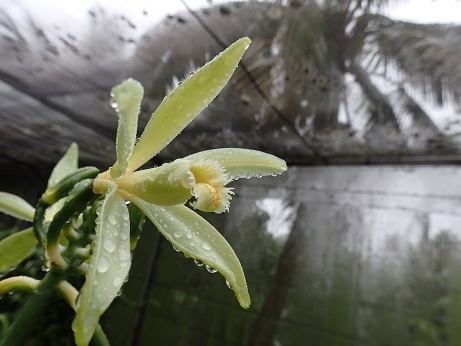 Galley Wench Tales: Eating Orchids & Betcha You Do Too! 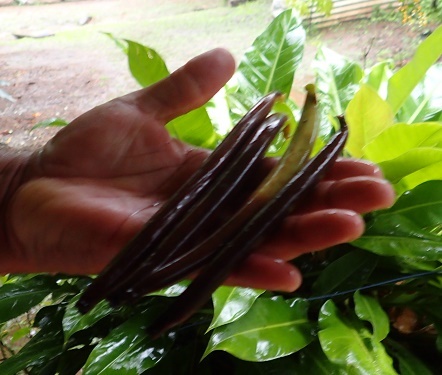 What foodie could pass up a chance to check out an organic vanilla farm from the area that supplies the majority of vanilla for the world? 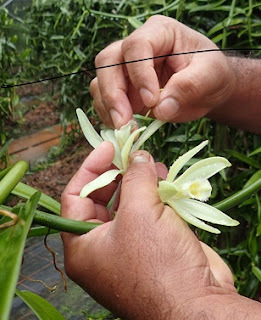 Vanilla greenhouse, Tahaa, French Polynesia. 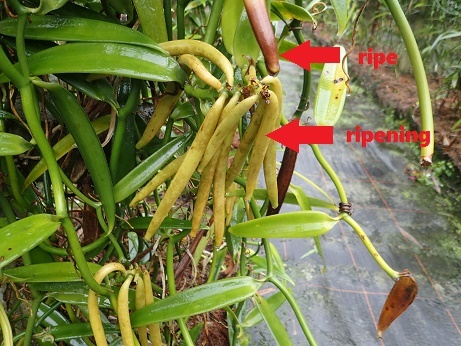 Hand pollination is required for this vanilla crop. 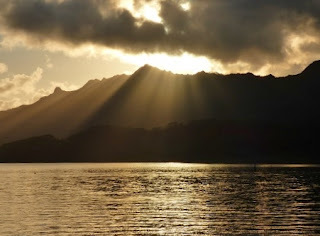 Taha'a was the perfect stop to break up the passage between Huahine and Bora Bora. Tahaa's atolls boat some great coral garden snorkeling. But it was pouring when we were passing through and I'm a fair weather snorkeler as without good sunlight I find it hard to spot much reef life. 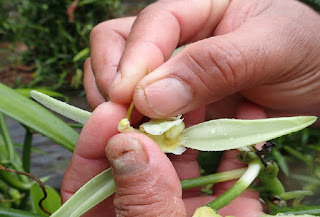 Closer view of vanilla hand pollination process. Vanilla beans ripening, slowly at a Tahaa French Polynesian organic vanilla farm. 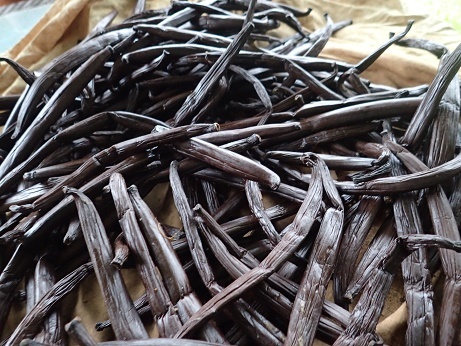 Taha’a is known as the "Vanilla Island" as it produces 70-80% of all French Polynesia's vanilla. While French Polynesia isn't considered one of the major volume player in the vanilla market, it's still important to Tahaa's culture and economy. Click here to learn more about the evolution and role of vanilla in Tahaa. Ripe vanilla beans at a Taha'a French Polynesian organic vanilla farm. More pragmatically, sunshine is not required to enjoy vanilla, so I toured one of Tahaa's vanilla farms. The vanilla didn't like the rain any better than I did, Due to all the rain in this year's "dry season" current vanilla production is down 50% as compared to a good production year. It takes three months for ripe vanilla beans to dry. 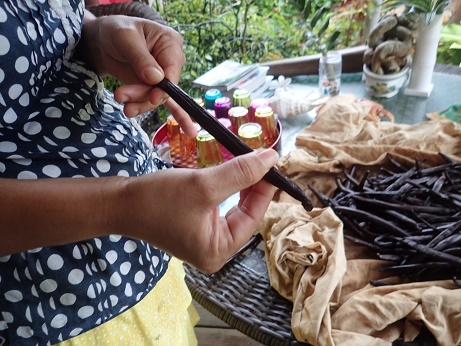 Drying vanilla beans are hand straightened. outside Hibiscus, Haamene Bay, Taha'a, French Polynesia. We're on our way to Tonga with a stop in American Samoa and potentially Cook's Suwarrow on the way. 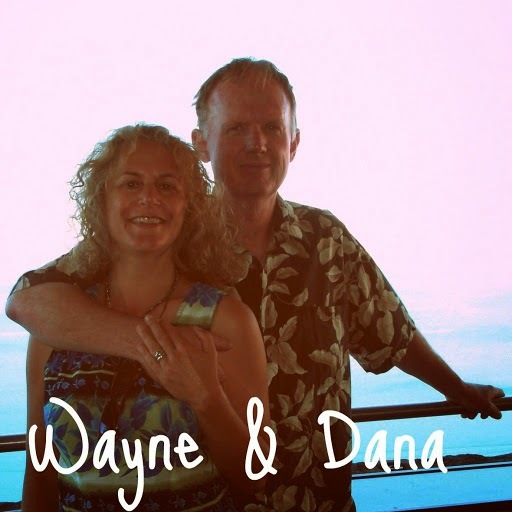 This is one of several catch-up blog posts to set to run while we're on passag, to American Samoa. This post is a recent retrospective from our stop on July 14-16, 2015 on Tahaa (S16.38.713 W151.7.404). 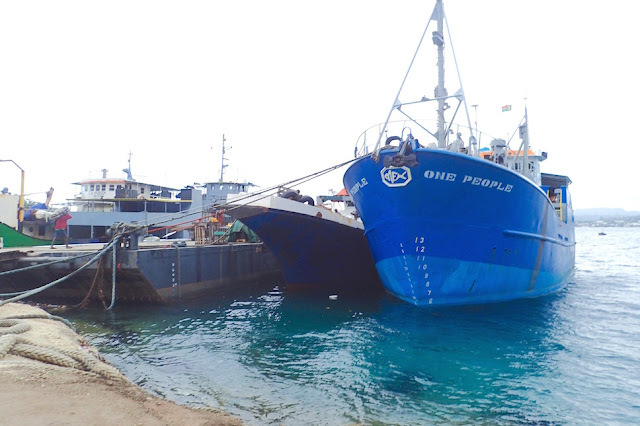 We tied off to a mooring ball outside Hibiscus as Tahaa's Hamene Bay is very deep or far too shallow for anchoring. 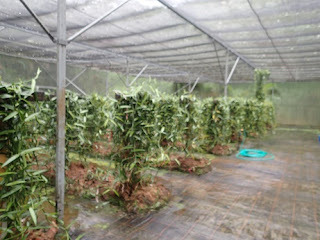 The mooring ball was free though I paid a steep $30 for a round trip ride in the pouring rain from Hibiscus to the vanilla farm 7 km away.